For the first time in five years, Noeh will be celebrating Christmas in his own home in Karamles, Iraq, this year. There was a time when going seemed impossible for this family. In August 2014, they had to flee to escape the self-proclaimed Islamic State (IS). 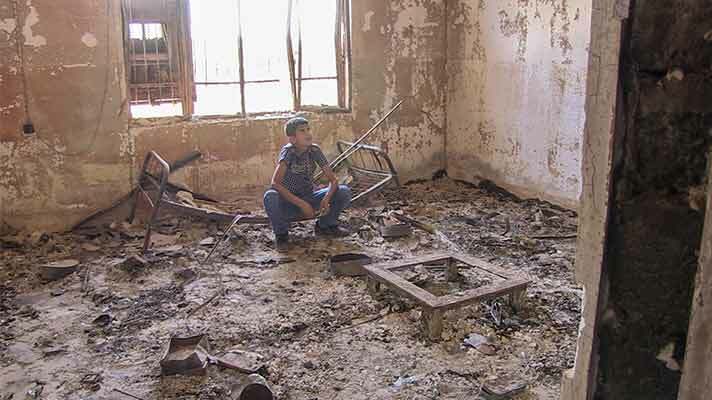 Their village, Karamles, was liberated from the extremists in October 2016, but when they returned to their home, it was completely burned out. But they were determined not to give up on their home and their community. In August 2017, Noeh’s family came back to live in Karamles, staying in the house of an uncle and aunt. 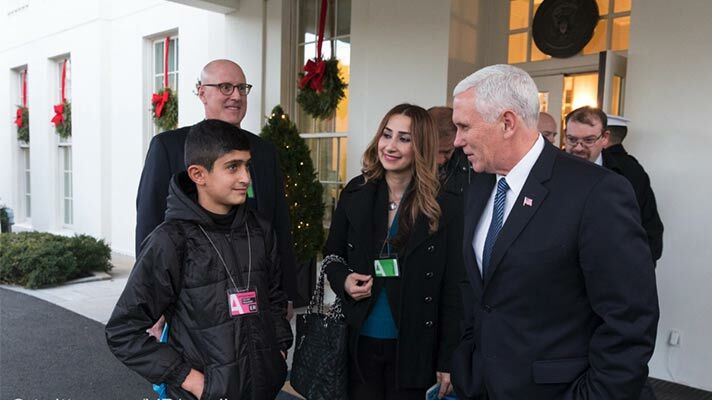 In December last year, Noeh and his father, Haithem, travelled to New York to present the Hope for the Middle East petition to high level UN officials and Vice President of the USA Mike Pence. Noeh is just a young boy from a small village – and yet, your campaigning enabled his voice to be heard by some of the most powerful people in the world. And this year, Noeh and his family are back in their own home. For many families in the Middle East, 2018 has been a year of new hope. Your support and prayers have enabled Open Doors local church partners to repair 1,051 houses across the Nineveh Plain in Iraq – that’s 1,051 families like Noeh’s who will be home for Christmas this year. Thank you! As the situation in Iraq improves, Open Doors local partners are now focusing less on providing food aid, and more on helping believers to start small businesses to give them the dignity of supporting themselves. Your support and prayers have helped them to start all kinds of businesses, including a plastics factory, a sweet factory, a metal factory, and various farms and shops. Many are still traumatised, and receiving trauma care through Open Doors local partners. Our church family in Iraq still need our prayers and support as they continue to rebuild their homes and communities. This year, Prime Minister Theresa May announced the appointment of Foreign Office Minister Lord Ahmad to a newly created role: Prime Minister’s Special Envoy on Freedom of Religion or Belief. When speaking about his new role, Lord Ahmad shared some of the Prime Minister’s motivations as well as his own reflections – and we were very pleased to hear him mention Father Daniel, an Open Doors partner in Iraq. 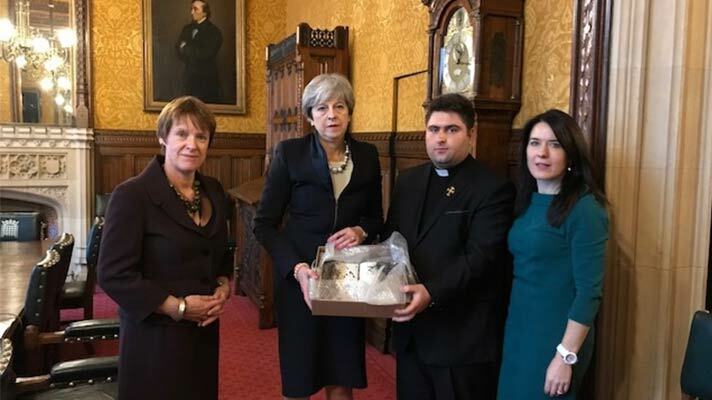 Father Daniel presented the Hope for the Middle East petition to the Prime Minister in December 2017, and he also presented her with a Bible, covered in ash and with charred pages, that was saved from the wreckage of the church in Karamles which had been burned by IS. The petition presented to the Prime Minister included 186,390 signatures from the UK and Ireland. You spoke out, and asked your friends and churches to speak out too – and the Prime Minister has listened. Thank you! President of Open Doors UK & Ireland Eddie Lyle recently went to Iraq to visit Father Daniel, to see the trauma care centre that he runs in Erbil with your support. Eddie also took Welsh Assembly Member Darren Millar, who is hoping to meet with the Prime Minister to update her on the situation facing Father Daniel and his community. The faithful support and prayers of people like you are keeping hope alive for our brothers and sisters in Iraq and other parts of the Middle East. Whatever you've done, whether you signed the Hope for the Middle East petition, gave a gift, or prayed, thank you so much. But the challenges facing our church family in the Middle East aren't over yet. Please continue to stand with them in prayer in action. 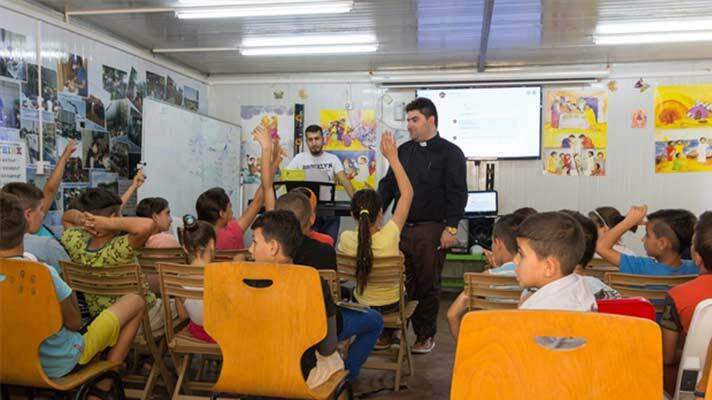 You could give a gift to support the work of Open Doors local church partners in Iraq and the Middle East. £15 could go towards setting up a family in employment or helping them open a small business. You can use your voice to speak out on behalf of your persecuted church family by inviting your MP to the launch of the 2019 World Watch List in Parliament on 16 January. And please continue to pray. Pray for families like Noeh's who have been able to return to their homes, for healing from the trauma they have experienced, and provision for all that they need to rebulid their lives and communities. Pray for church leaders like Father Daniel, as they continue to support families who have been displaced and traumatised. And pray that the church will not only survive in Iraq, but shine as a light to those around them.